If these five bonus gifts were sold separately, they'd go for well over $130.00 ...but when you purchase one of my hosting plans, you can have them for free! 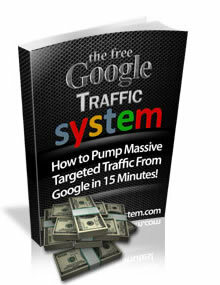 The Free Google Traffic System is the ONLY system that will teach you how to get huge amounts of traffic and inbound links to your website in 15 minutes! 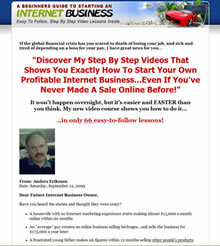 Inside you will discover 6 ebooks and 72 85 step by step videos that explains how to start Your own profitable internet business...Even if You've never made a sale online before! It's Easy to Order Your Hosting Below..
CheapWebHosting-1.com has been online since September 2006 (check whois) and is still serving unlimited web hosting accounts to the public, in a market where most unlimited webhosting companies disappear after 6 months or less. CheapWebHosting-1.com is part of the Datorsam Network (created in 2005! ), and is owned and operated by Anders Eriksson. networking gear, climate control, security and power systems. Our facilities are monitored 24/7/365 from our state-of-the-art network operations center and if a problem arises, we are here to help you!